Around the Common: Spring TOPS Program Registration Is Open! TOPS (The Outreach Program for Soccer) is a community based soccer program that is designed to meet the needs of children aged 4-14 years with physical and/or mental disabilities. The program is geared toward player development rather than competition. TOPS is open to any child with a disability, including but not limited to: A.D.D., Autism, Hearing Impaired, Sight Impaired, Cerebral Palsy, Traumatic Brain Injury, Cystic Fibrosis, Down's Syndrome, Multiple Sclerosis, Muscular Dystrophy, Seizure Disorder and Spinal Bifida. It may be necessary to provide a doctor's permission slip in order for your child to participate. Participants must be born on or after September 1, 2005 and on or before January 1, 2015. (U6-U14). 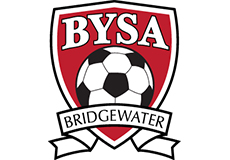 Participants are not limited to the town of Bridgewater, and this is a no-cost program.